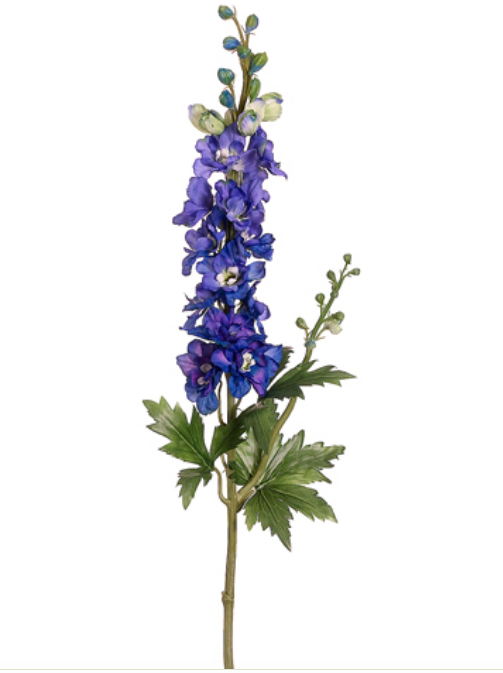 These incredible lifelike delphinium purple flowers will add beautiful spring cheer wherever they are used. So lifelike they could fool just about anyone and can also easily be paired with fresh flowers. Measures 35", comes in box of 12.